John Quincy Adams was the first president to install a billiard table in the White House. This “gambling furniture” in the “President’s Palace” exposed Adams to much unfair criticism, and was used against him by supporters of Andrew Jackson in the presidential election campaign of 1828. 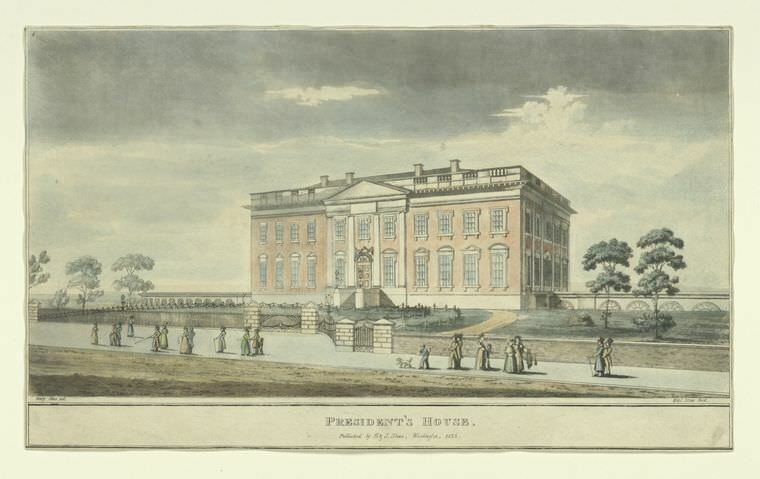 The President’s House by Henry Stone, 1826. John Quincy Adams installed the first billiard table in the White House in 1825. The President’s enjoyment of billiards did not attract public attention until March of the following year, when a House of Representatives committee chaired by New York representative Stephen Van Rensselaer submitted a report to Congress concerning the finishing and furnishing of public buildings. The report included, as one of many appendices, a detailed account of the manner in which the $14,000 appropriated for White House furnishings in the previous year had been expended. The account was compiled by John Quincy Adams’ 22-year-old son and private secretary, John Adams Jr., who declared “the expenditures have all been made with an eye to the strictest economy.” (3) Among the 124 items listed were the billiard table ($50), the new cloth and repair work ($43.44), cues ($5), billiard balls ($6), and chessmen ($23.50). Gambling in the White House? 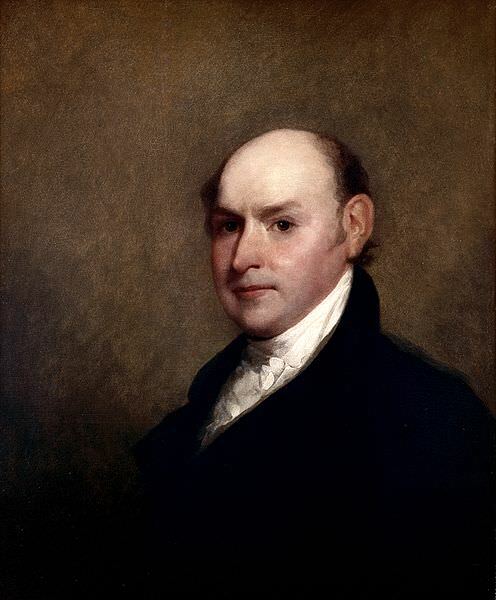 When John Quincy Adams learned of the report, he told Van Rensselaer that the inventory – which John Jr. had not run past him before submitting – was wrong. Adams had paid for the billiard table and related items with his own money. But the Congressional report had been printed, and no public correction was issued. Supporters of Andrew Jackson – Adams’ opponent in the 1824 and 1828 presidential elections – seized on the purchase as an opportunity to embarrass the President. 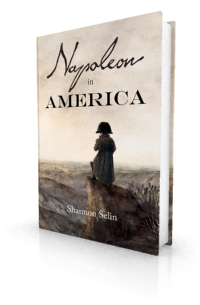 Although billiards was a popular game in Europe (see Was Napoleon good at billiards? ), it was less common in the United States and had an unsavory reputation. [T]he committee on the public buildings, of which I was chairman at the late session, in the discharge of their duty, found it necessary to have an account or schedule of the furniture in the President’s house, obtained in virtue of a previous appropriation by Congress. We had no communication with the President on the subject; nor do I suppose that he had any knowledge, either of what we applied for, or what was furnished us. Our application was to his private Secretary, and the inventory or account, as handed to us by him, was annexed to our report without examination by us, and both the report and inventory were ordered to be printed, neither the one nor the other having been first read in the House, the reading having been dispensed with as is usual in cases of reports of committee. Van Rensselaer’s letter was published in the newspapers, but this did not put an end to the attacks. Now, which shall we believe, Mr. Adams, who wishes to screen himself in the eyes of the nation, or his son, who had not motive to disguise the fact of the case? Is it not probable that a part of the money was applied as stated by the son; that afterwards in consequence of the sentence of condemnation having been passed upon it by the voice of the nation, some subterfuge was resorted to with the view of clearing the President of the censure, that Mr. Adams told Gen. Van Rensselaer this story, to obtain the sanction of his name in support of a miserable apology in his favor, and then procured the application to be made for it through Mr. Clarke? To us, this appears to be highly probable; and we doubt whether any other face can be put upon it. The issue of the billiard table contributed in a minor way to Adams’ defeat by Jackson in the 1828 Presidential election. Charles Francis Adams, ed., Memoirs of John Quincy Adams, Vol. VII (Philadelphia, 1875), 22. Register of Debates in Congress, Comprising the Leading Debates and Incidents of the First Session of the Nineteenth Congress, II, Part II (Washington, 1826), p. 2656. Edwin A. Miles, “President Adams’ Billiard Table,” The New England Quarterly, Vol. 45, No. 1 (March 1972), pp. 31-32. United States Telegraph (Washington, DC), August 11, 1826. “The National Billiard Table,” from the Vicksburg (MI) Eagle, United States Telegraph (Washington, DC), November 21, 1826. United States Telegraph (Washington, DC), December 13, 1826. Niles’ Weekly Register (Baltimore, MD), Vol. 32. No. 815 (April 28, 1827), p. 150. United States Telegraph (Washington, DC), May 16, 1827. United States Telegraph (Washington, DC), May 26, 1827. Scioto Gazette (Chillicothe, OH), September 13, 1827. Basil Hall, Travels in North America in the Years 1827 and 1828, III (Edinburgh, 1830), pp. 15-16. Miles, “President Adams’ Billiard Table,” pp. 40-41, 43. Shannon, thank you very much for sharing. I love these stories of JQA. I love you for bringing the personal side of him to me. You’re most welcome, Vince. So glad you’re enjoying the articles. Billiards forbidden because people might bet on it? Could this happen except in the land of the free? A better use for the billiards table is provided by snooker, which was devised by British in one of their clubs in India. Now widely played in the world, including Canada but not the US, I think. Must break off now, to watch it on the television. Enjoy the match, Geoffrey. Yes, we do have snooker in Canada. Here’s a handy guide for those, like me, who have trouble keeping billiards, snooker and pool straight: https://www.connellytucson.com/content/billiards-vs-snooker-vs-pool-whats-difference. Two Canadian players were Cliff Thornton and Bill Werbeniuk. The former known as the grinder, if I remember, because of his very slow play. Did I say Thornton in my last? The name was Cliff Thorburn, a world champion from Canada. Thanks, Geoffrey. I will have to look these fellows up. Unlike hockey players, snooker players do not tend to become well known among Canadians. Can it be that the President’s House is to be converted into a place of resort, where gamblers may idle away an hour?